The Council for the Development of Social Science Research in Africa (Codesria), held a weeklong intellectual fest in Dakar at the end of December that brought together a good number of Africa’s clever men and women. Former South African president Thabo Mbeki made one of the keynote speeches. During this speech, Mbeki said he thought the proposed reforms of the African Union, led by Rwanda President Paul Kagame, were a step in the wrong direction. He declined to give details. My last encounter with Mbeki was about a year ago. I have to give this to him – he showed even a keener mind this time. 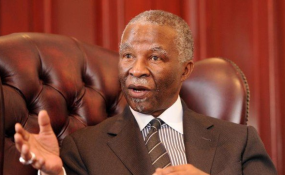 Clearly still the bookish, wonkish, and cerebral Mbeki – the traits that actually caused him trouble as South Africa’s president. His speech was a big picture of global affairs and how Africa’s fortunes were playing out in it. It’s the kind that needs to be written up and revised several times. But, as the moderator noted, clearly he had put it together himself. It was evident, because he mostly had a pile of references, lined up in the order that he planned to cite them, and went to work. That required him to have a complete mental map of his one-hour speech, and the sequence of citations. I tried to find out from his close associates why Mbeki is sceptical about the AU reforms. It is largely ideological. Mbeki – and others of similar mind – think the Kagame reforms would turn the AU into a more technocratic, UN-like organisation. That appeals to some of us, but his view is that it’s not what Africa needs the most. What we need is an organisation that, while it may experience failures and be shambolic, fights to give political protection to Africa globally. For example, as he himself said during his speech, while he was still president, the G20 wanted to take Robert Mugabe’s messed-up Zimbabwe to the UN Security Council. Mbeki opposed the idea, saying it would make it more difficult for SADC to intervene diplomatically in the Zimbabwe crisis. Rather, it could be referred to the UN Human Rights, anything but the Security Council. They turned to China and kept Zimbabwe off the Security Council agenda. Recently, Mbeki met the Chinese, and noted that at the G20 and the UN, China is no longer a keen champion of African interests. It’s more complicated than that, they told him. Since that request to give Zimbabwe some cover at the G20 years ago, they told him, Africa has not collectively asked China for anything big. It’s this kind of political action, he thinks, that Africa needs more of. Meanwhile, the AU reforms propose to merge the Department of Political Affairs and the Peace & Security Department (PSD). However, the PSD is almost wholly funded by external partners, being a darling of the donors. It would be a takeover, or elimination, of the AU function that gives political voice to Africa’s interests, some of them uncomfortable, or even inimical, to donors. I am a big fan of the AU reforms, but I couldn’t sneer at Mbeki’s sentiments on this one.